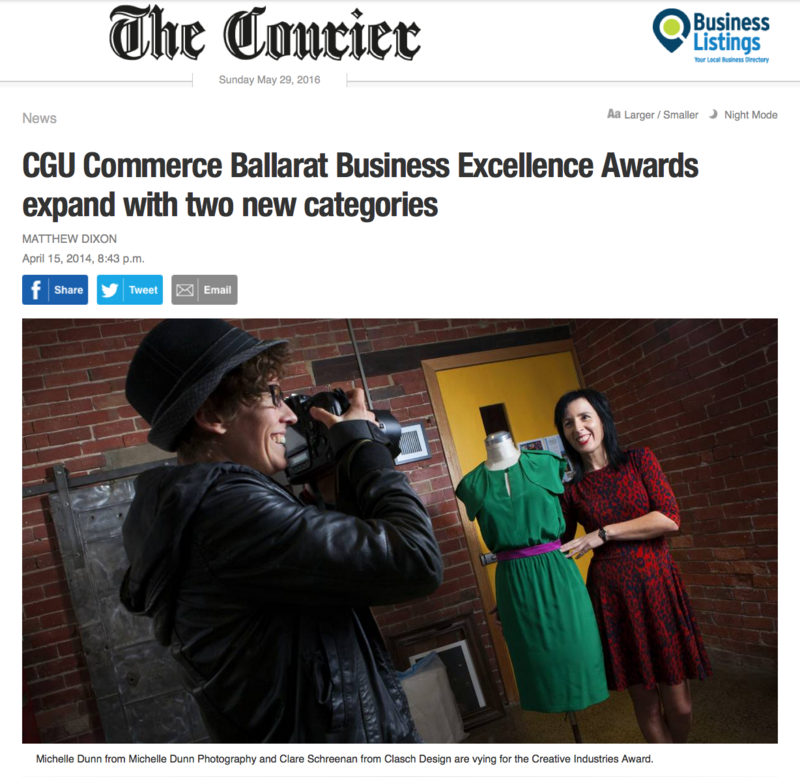 TWO new categories will lead to a wider range of entrants in this years CGU Commerce Ballarat Business Excellence Awards. The newly introduced Creative Industries Award will profile local talent in the design and performing arts industries, while the community and government award will highlight organisations that link industry to the community. Photographer and filmmaker Michelle Dunn is one local business owner who will be entering the awards for the first time. “I was going to enter last year but I wasn’t sure what category I fitted into,” she said. Ms Dunn also admitted she had nominated another business for the awards, which are held in August. Commerce Ballarat Chair Andrew Rowan said a review of the awards took place each year, which was one of the key reasons for the introduction of the new categories. Businesses can nominate themselves or others by downloading the Commerce Ballarat app or by visiting www.commerceballarat.com.au. Nominations close on May 2 at 5pm.